The Fischell Department of Bioengineering, with support from the National Science Foundation, is offering exciting research opportunities in bioengineering research for undergraduates who are interested in exploring new approaches to engineering cells, tissues, and organs. The summer 2019 program will run from June 3 — August 9, 2019. Undergraduate students will be enlisted to investigate new engineering technologies for constructing and mimicking tissues and organs. Example projects include blood-brain-barrier-on-a-chip, cancer cell microenvironment and migration on a chip, 3D printing and microsystems for extracellular vesicle biomanufacturing, molecular signaling in a gut-on-a-chip model, and 3D-printed scaffolds for improved tissue regeneration. Each research project will be a collaboration between the University of Maryland and the U.S. Food and Drug Administration (FDA), making this Research Experience for Undergraduates unlike any other available in the country. The summer 2019 program application is now open. The deadline to apply to this Research Experience for Undergraduates (REU) program is Monday, January 28, 2019. Students are strongly encouraged to apply ahead of the deadline as admissions will be processed on a rolling basis. Innovations in cell and tissue engineering - in particular, through additive biomanufacturing and organ-on-chip models - promise to lead to fundamental shifts in health care. 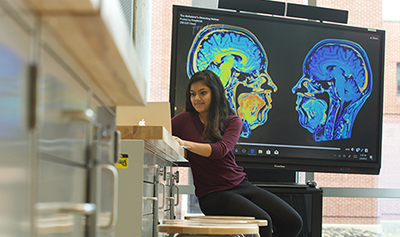 The University of Maryland's Fischell Department of Bioengineering features leaders in the fields of engineering and microsystems, and has pioneered new approaches to tissue engineering with 3D printing technologies and integrated microsystems. This REU site offers undergraduates the opportunity to learn the fundamentals and the techniques to contribute to the future of cell and tissue engineering. Immerse students in opportunities to apply knowledge of regulatory science while analyzing the clinical and commercial implications of their research projects. Better prepare those students for success in graduate school by improving research aptitude, laboratory skills, and communications skills. Increase the diversity of students pursuing careers in biomedical research. Advance the fundamental science and technologies of cell and tissue engineering. 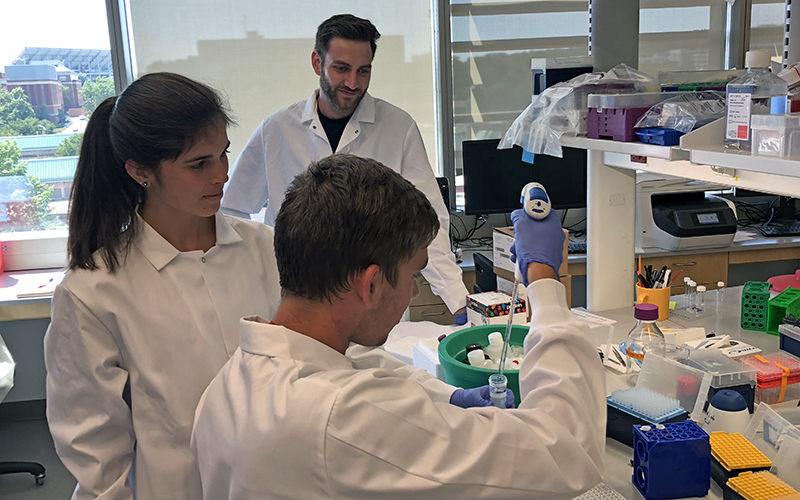 During the 10-week summer program, undergraduate students will pursue independent research to advance fundamental science in cellular and tissue engineering while developing new technologies, including 3D printing and organ-on-a-chip microsystems. Adding to the academic and professional gains available to participants is the unique opportunity to learn the importance of regulatory science in biomedical innovation. Leveraging a partnership between the Fischell Department of Bioengieering and the U.S. Food and Drug Administration (FDA), this REU program will provide students with the opportunity to gain new perspectives on the connection between biomedical research and the health and safety of patients. Additionally, REU students will investigate questions about the ethical, clinical, and commercial implications of their own projects and pursuits. Participating students will also be educated on the FDA approval process, which will prove invaluable in future endeavors to develop translatable technologies. Before completion of the REU program, students will participate in the FDA's annual research fair, where they will present their research to other undergraduate researchers as well as FDA technical staff, non-FDA scientists, and even the FDA Commissioner. Stipend, Housing, and Travel: All participants will receive a $500/week stipend for their summer work, as well as full room and board on or near the University of Maryland, College Park campus. Additionally, the program will provide support for reasonable travel expenses to and from the site. Applicants must be planning to complete a degree program (in any field), and must be and remain an undergraduate in good standing. REU students will devote full time to research efforts and must not accept additional employment. Special note: This work is supported by the National Science Foundation, a federal agency. Only U.S. citizens and permanent residents are eligible to apply and to participate. The online application for the program is open until January 28th, 2019. Students are strongly encouraged to apply ahead of the deadline as admissions will be processed on a rolling basis. When you enter your reference email addresses in the application, your reference writers will receive an email with a link to upload your reference letter. I have not yet finished writing my statement, but would like to have the email sent to my reference writers. How do I do this? You do not need to have your materials ready when you submit the application. Additional materials may be uploaded until the deadline. After your initial application submission, a link will be emailed to you where these additional documents may be uploaded. Applications will be evaluated as they are received, and students will be notified of the decision on a rolling basis.